Super Silver Haze x Northern Lights x Super Hash Plant (Week 10 of Flower) - Harvest Time? So here we are, approaching week 11 of the flowering period and we're a bit stumped on whether these plants are ready to be harvested. We have been judging the maturity of the marijuana plants by trichome coloration. 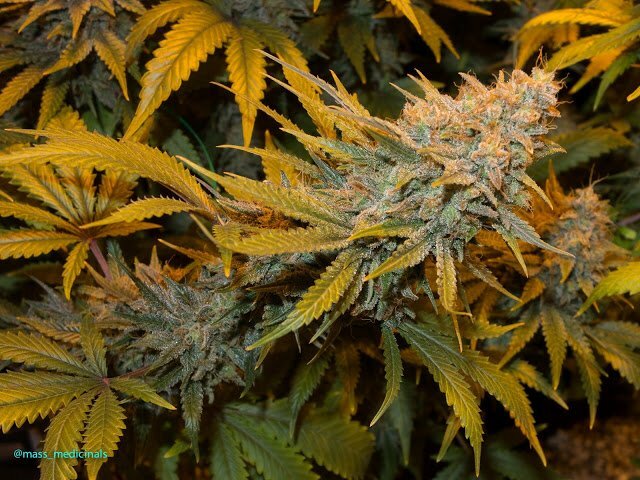 And unfortunately the plants in our grow room have very little amber coloring. Many of the main colas are still clear to cloudy. The problem is that at week 10-11 we're between 7-14 days minimum over the breeders forecasted flower time for the indica. Which are said to be between 7 and 9 weeks. That being said we welcome any input on the following photos. The SSH (Super Silver Haze), is smelling actually like compost or freshly turned soil. 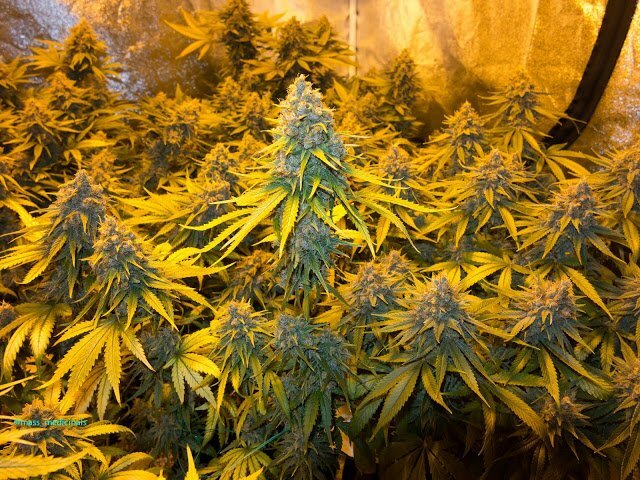 These plants don't smell like mature pot or freshly cut marijuana. They smell very different from the indica in the grow room. However if you get the resin on your glove or scissors it smells very sweet and citrus. That had us very concerned of Bud rot. 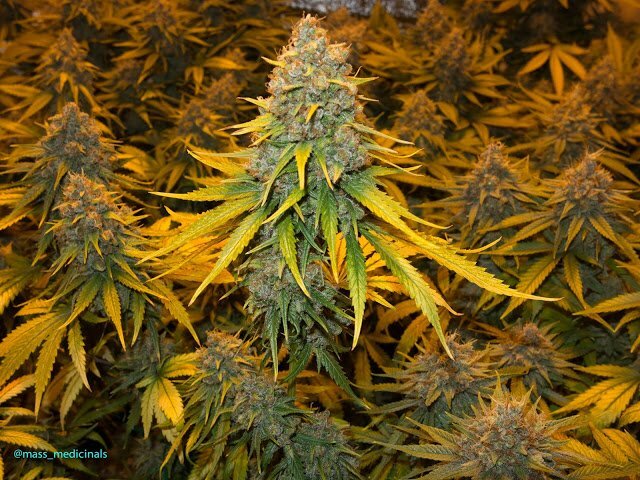 Bud rot - is a type of mold that commonly attacks the flowering sites or buds of your plant. 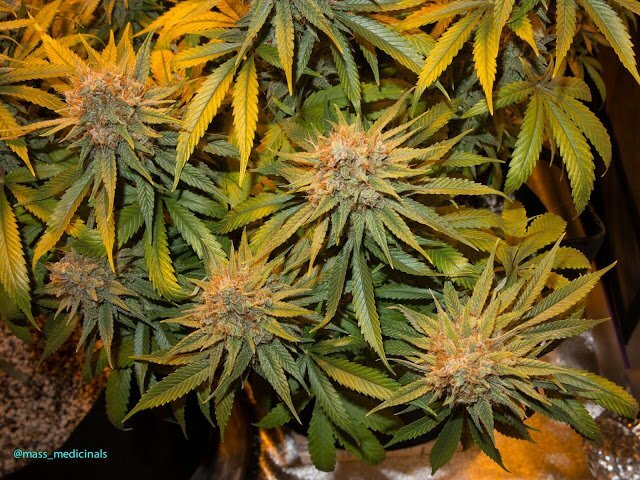 The mold will start near or on the stem of the plant inside the bud and spreads out destroying the bud from the inside out. It can be difficult to catch this infection at the start. So when you realize you have a problem - usually by seeing the spores on the sugar leaf - the entire cola could be lost. 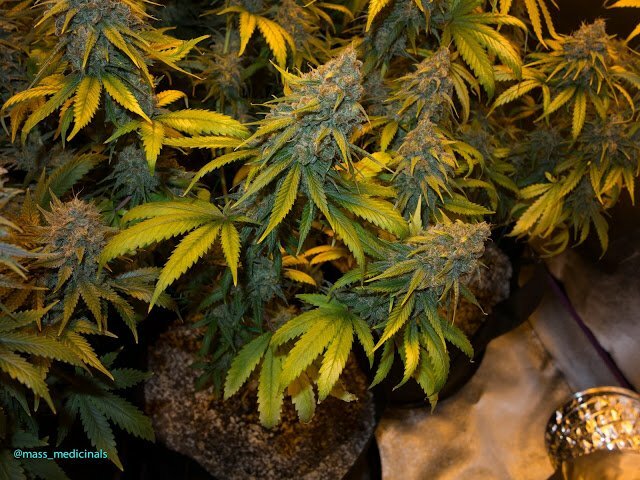 The plants [at this time] do not show any sign of mold, but the leaves have been yellowing for weeks. This is something we have not been able to control for most of the flowering cycle. Although plant leaves can turn from a health green to a less desirable yellow-green as the plant approaches the harvest time. 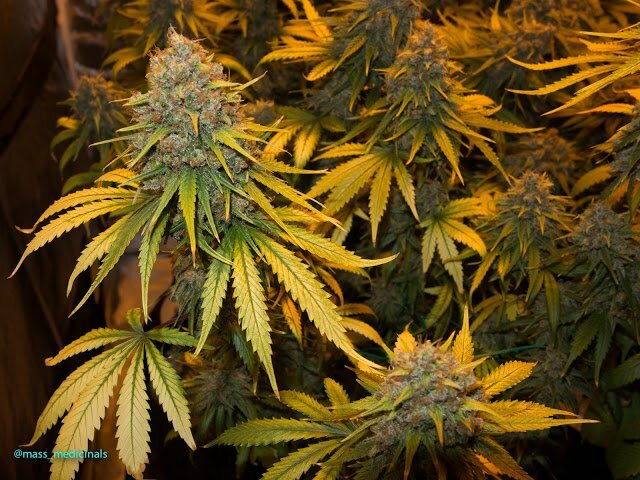 We probably could have done better to maintain the overall health of the sativa through the flower period. Mainly we should not have transplanted these girls from a one gallon to a five gallon plant so late in the flower cycle. The colas have a lot of white pistils and clear trichomes. 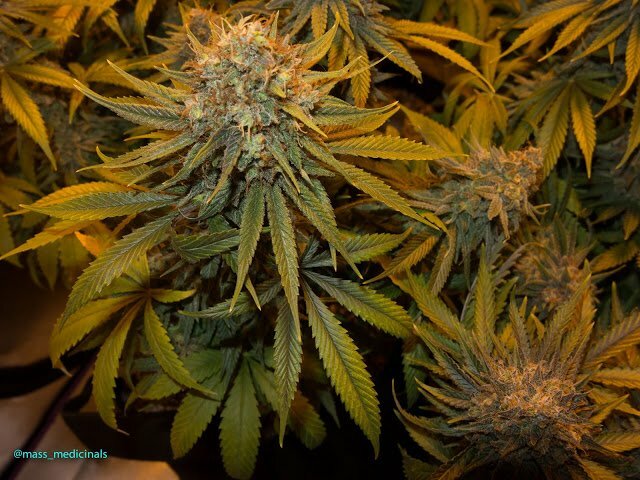 Also SSH like most Haze strains is said to require 10-12 weeks of flowering before harvest. So hopefully these girls are going to be ready in the next 14 days. YouTube Channel https://www.youtube.com/Massmedicinals <--Please subscribe!!!! You can remove this mention from your website, once we confirm the authorship. Done! http://massmedicinals.blogspot.com/2018/01/more-sick-plants-what-heck.html See at the bottom of this blog post. We are a small collective, but are aiming to grow our data. With hopes of having blog posts as well as stand along growing/cooking/DIY webpages for people to use to help. We have verified that website as yours. Sweet! Just curious, is there a verified check or badge? You are most welcome! Thanks for commenting. Each stage has its own challenges. Getting this close and harvesting too early or late is a stressful concept. Add bud rot into the mix and I'll be a wreck.